Chump off leg with aitch-bone intact, chump is removed approx. 30 mm from the point of the aitchbone. 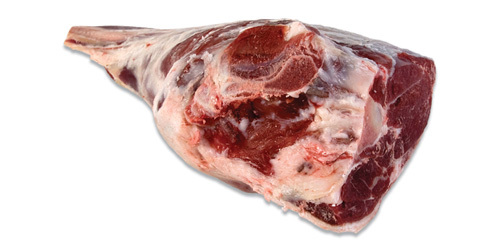 The knuckle tip is removed at the rise of the shank meat. Glands and fat excess removed.